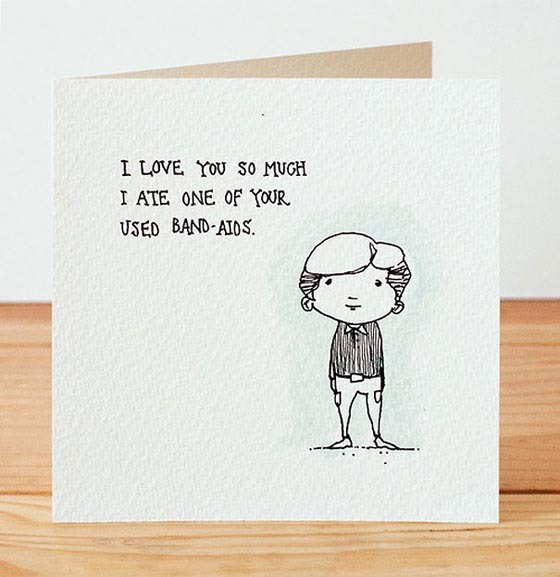 Valentine’s Day is only 2 days away and you probably have been swamped by tons of different Valentine’s day gift ideas. 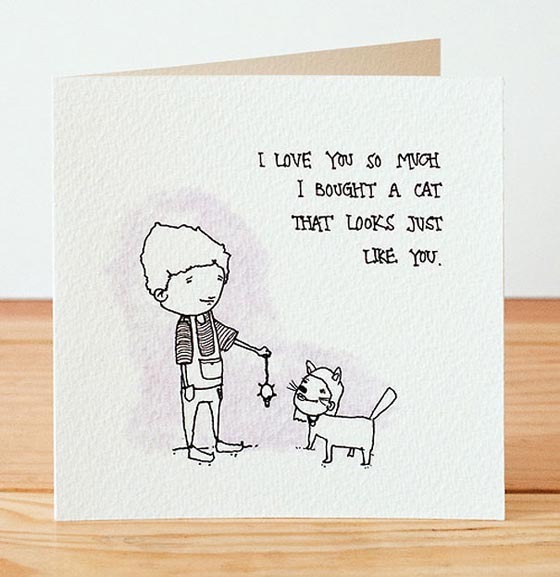 Now, as much as that sentiment is endearing, it might be fun to switch things up a bit – like what Hoxton-based art collective Hubbawelcome did with their “I love you so much” Valentine’s Day greeting cards. 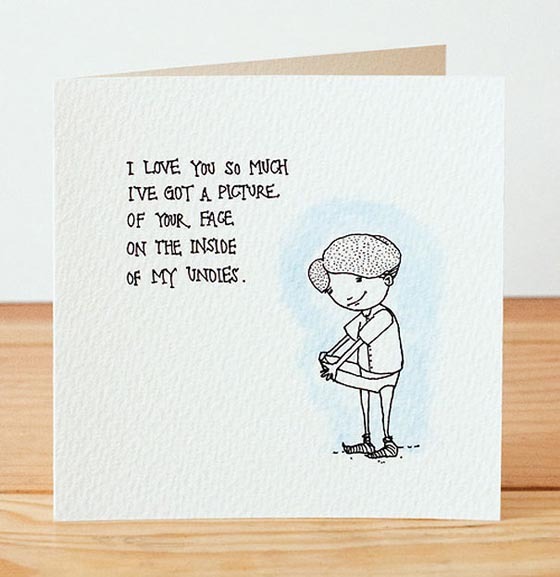 The cards feature earnest looking young chaps, professing their love for the other in funny, unique and perhaps even disturbing ways. 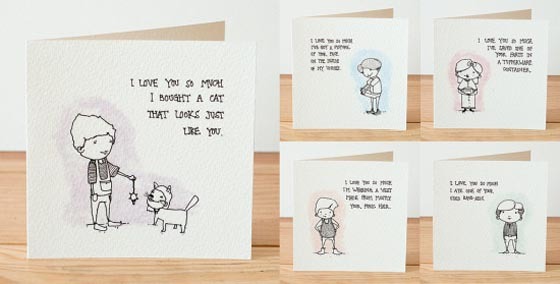 These unique greeting cards are hilarious, twisted and definitely worth checking out! 1. 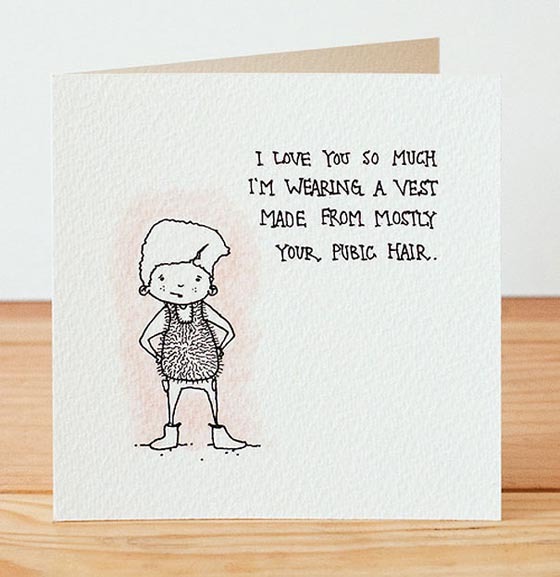 I love you so much I’m wearing a vest made from mostly your pubic hair. 2. I love you so much I ate one of your used band-aids. 3. I love you so much I’ve got a picture of your face on the inside of my undies. 4. I love you so much I bought a cat that looks just like you. 5. 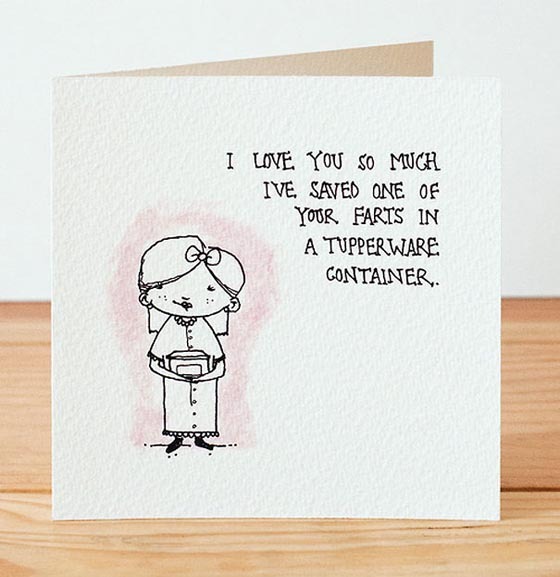 I love you so much I’ve saved one of your farts in a tupperware container.